Microsoft is still giving the finishing touches to the first preview build of its new browser, but an early version made the round earlier today, allowing everyone to see what this project is all about. 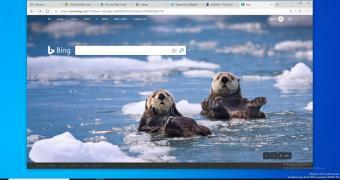 In short, with the new Microsoft Edge browser, the software giant is making the transition to the most successful browsing engine to date. Edge will thus transition from EdgeHTML to Chromium, the very same engine that’s also being used by Google Chrome, currently the world’s number one browser. With this change, Microsoft says that it can not only improve its Windows browser, but also contribute to the whole WWW ecosystem with its know-how and resources, eventually improving the experience of everyone online.